The foundation stone for the world’s first ever undergoing railways was laid in the 19th century in the city of London. The urban community took a large step towards the development of the city. What the number speak of the London Underground railways? What is the deepest London Underground line? How many lines does the tube have? How much of the London Underground is underground? What is the fastest London Underground line? What speed do London Underground trains travel at? Which is the longest tube line? Who created the London Underground map? Who designed the London Underground logo? How many trains does the tube have? Which is the oldest Tube line? It was opened for use by citizens of London in 1863, the metropolitan railways were initially run on steam engines which were powered by gas-lit carriages. The circle line of this railway was completed in 1884 in association with District railways. The Metropolitan got extended over 50 miles from Buckinghamshire to the centre of London and meeting with Baker street on its path. The deep level tune line opened in 1890, the first of its kind covering City and South London by the means of electric trains. Later on, several more additions were made by the Central London Railway in 1990, Waterloo and City railways in 1898 and Great Northern and City railway in 1904. To fund the electric requirements of the District Railways, The Underground Electric Railways Company of London also known as UERL was founded in 1902. The task was to operate more tube lines in the city and the chosen routes were Hampstead Railway and the Great Northern, Baker Street and Waterloo Railway, Piccadilly and Brompton Railway, the Charing Cross and these operational in 1906-1907. All in all, by 1907, the underground lines of Metropolitan and District Railways were electrified. 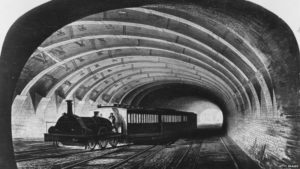 The underground railways of London have been existing for over two centuries now and no doubt have witnessed a lot during this period. Shedding light on the phase of world war I, these underground railways stations were home to many people. The reason is obvious to save themselves from the horrible truth of the war. When the war was over, these stations were revived again. The government backed up the plan to make this network grow and in order to do so, the Euston and Hampstead Railways were linked at Euston and Kennington. However, the present name of the Northern line was yet not embarked on the route. Not just that one, even the Piccadilly was extended and covering Cockfosters it got in touch with the District line to Hounslow and Harrow, today’s Uxbridge. Heading more to the aspect of development, the London Passenger Transport Board was given control of the bus operators and trams along with the underground railways. There were plans to further extend the Bakerloo line and also the Northern and the Central lines but the occurrence of World War II put a halt to everything. Once again, the underground railways were put to the use of shelters from air raids. In 1948 nationalization was done for LPTB and the priorities of the underground were now reconstruction over renovation or maintenance. The unpainted aluminium train became a piece of standard when one entered the District line for trial. While the 1960s were up, the Metropolitan line was fully powered by electricity and the waiting caused due to steam engines no longer existed. In 1968- 1971, a new tube line was added for London, The Victoria Line. The Northern city line was under the control of British Railway after 1976 and was connected to Finsbury Park. A portion of the Bakerloo line was moved under a new line, the Jubilee line in 1979 and in 1999 was extended to Stratford via Docklands. Since the world was moving at a pace than ever, the London Transport brought a new system in the picture for the fare of the London underground railways in 1991. There was a legal challenge that made an effect on the fares for transport in London but the costs were retained. What was new in the system were Capital cards and Travel cards in the 1980s. The partnership of the railways was no longer under the control of the London Transport Board from the early 21st century. The entire system was upgraded under the public-private works. The main difference that the private sector made was upgrading and maintaining the infrastructure of the underground railways. However, there was a failure in 2010 and the entire responsibility was borne by the private companies in charge. Then came the Oyster cards in 2003 and available for sale and use. Since the wear and tear of the tube line had to be taken care of, the East London line was converted to London Overground line and the route was closed from 2007 to 2010. Moreover, the Central line was no longer forming a circle but a spiral from central London to Hammersmith. The upgrade program is till on for several underground lines. With an already on going Crimean war, it was tough for the government to put together enough funds for the underground railways. Yet it was emphasized that the underground railways should be put in motion to meet the requirements of the city. The reason for this was the industrial revolution of the 18th and 19th century. The population of the country rose drastically and people began to move to London being the capital. It was a place with maximum possible opportunities and a lot of people from all over the country were taking shelter and jobs in the city. From 1801 to 1861, the population of the Great London tripled. The movement in the city was as high as 200,000 people going from one corner of the city to another on every day basis. This was the main driving force for the government to make ways for the people of the city in any means possible. Keeping and managing things required the underground railways became operational from 1863. The records say that the first day of the underground railways saw a traffic of 38,000 people. There was assistance provided from other railways also. The new solution attracted a fair amount of revenue and attention from the new and old citizens of London. There was a traffic of 9.5 million on the underground railways of London in its first year. The next year, this number increased to 12 million. Seeing the scope of development and profit from the concept on Underground railways, many private companies took an interest in developing the railways further and appealed with the government for the same. The concept was later also adapted by the District Railways. These two networks later were the connection of the Circle line of the city. However, the process took twenty years. This was mainly because of the rivalry which existed between the top owners of the two. Despite everything, the railways did come together in the year 1933. Earlier if anyone wanted to locate the underground railway the only hope was the diagram of it. This problem was resolved in 1931 and the design which has been severely modified as of now for the underground railways was proposed by an employee of UERL, Harry Beck. The map that he created was more readable than what existed till date and resembled to colored spaghetti on a plate than a geographical picture which could be understood easily. It was later improved by Beck himself. The layout or the readable map was generated with the use of diagonals, straight lines and taking units for spacing the stations at appropriate distances. This map was most importantly easy to read by any one making use of the railways, elegant and simple as well. Beck’s first attempt to sell the map to the UERL was made in 1932 however it was declined. Another shot for the same was taken the next year and this time the deal was closed at £10 which is equivalent to roughly £ 600 today. Although after the company was in partnership for the development of the underground network, there were several versions of the map devised by its employees. However, for every version that simple and elegant map was the foundation. On the Northern line of London underground railways, the Hampstead station had been dug the deepest at a depth of 58.5 meters. Even if the Central and Northern line were combined and compared, the latter goes deeper. After that, the next deepest station is the DLR concourse which is about 41 meters deep. 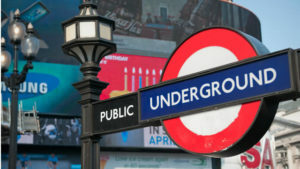 Over the development and additions in two centuries, the London underground railways also known as the tube for the tube lines in its network has 11 lines in total. The total distance run by the trains across different routes is 402 kilometers and has a count of 270 stations. It is till date one of the largest and oldest underground railway network in the world. There are everyday 5 million passengers making use of the underground network. Even though the name is Underground railways there is only 45% of the total network of 250 miles and 270 stations which goes underground. The majority of the trains of the network run on the external boundaries of the city on the grounds. Since the stations in Central London are not located at large distances the trains can reach the maximum speed of 30-40 mph only. The better speed of 50 mph is achieved on the Victoria Line because of distant locations of the stations. Yet the fastest is the Metropolitan line with the speed of 60 mph. The longest tube of the underground network of London is the Central Line. It majorly covers central London starting from Epping to Ealing Broadway and ends in West Ruislip. It is colored in red and has 49 stations on its route covering a distance of 74 kilometers. Henry Charles Beck an employee of the UERL who designed the first readable map of the underground tube network. He was an English technician and map is his biggest contribution. The typographer Edward Johnston was hired by Frank Pick, the publicity manager of the network in 1913 to design a logo for the underground railways. After several modifications, the design was finally approved by all in 1917 and it still the same as what we see today. At peak hours there are roughly 543 trains which travel on the same route to carry 5 million passengers on an everyday basis. The first station of the network was made operational in 1863. The first train ran between Farringdon Street and Paddington. This is the oldest tube not just in the underground railways network of London but also in the world. As the decade went on, the Overground was helpful in maintaining the rush alongside new lines and stations, and the Overground has been credited as one of the reasons for East London’s revitalization. Crossrail then turned into the city’s next incredible advancement, intended to additionally soothe rush of the lines, running between the home provinces and through the city. To pay respect to the Queen’s long rule, it was renamed as the Elizabeth Line, a name that went go into utilization in 2018 and the sign had a purple roundel and not the standard red. A year ago, the London Underground moved to being open twenty-four hours out of every day on the ends of the week, reflecting the acts of other real world urban communities. The first and one of the biggest metro tram frameworks on the planet, the London Underground keeps on doing a noteworthy job in the city. It is a piece of London’s history, and its progressions keep on mirroring the adjustment in the city itself. Whenever you wind up on one of the Underground’s trains, think about everything the framework has experienced over 150+ years and how you venture to every part of a similar way as millions.